Coats and Jackets for Autumn and Transitional Times. 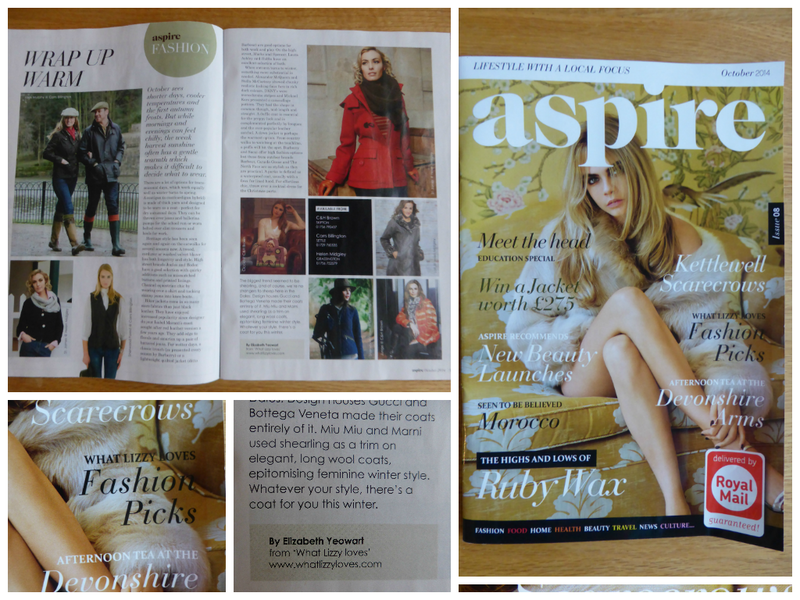 I was thrilled to have my first article published in the October edition of Aspire Magazine. It is a local publication delivered to 27,000 addresses in the Skipton area. The article, titled “Wrap up Warm” is about coats and jackets for the tricky transition from late summer to early autumn and on to winter. This is an abridged version, in which I’m looking at outerwear for the transition into Autumn. I’ll look at outerwear for Winter proper in a month or so. clocks back signifies the start of the new season. makes it difficult to decide what to wear. equally well as Winter turns to Spring. school run or worn belted over slim trousers and heels for work. Coatigen, from a selection at Boden. chic by wearing over a shirt and tucking skinny jeans into knee boots. lightweight quilted jacket (ditto Barbour) are good options for both work and play.